Two masked men who attacked and robbed a student at knifepoint on Eastbourne seafront are being sought by police. Officers were called to the incident on the seafront between the pier and the bandstand at 9.27pm on Friday (September 21). 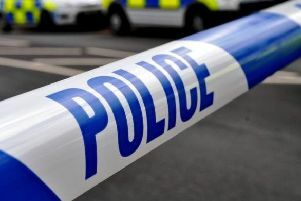 The 15-year-old foreign student, who was with a group of friends, said they had been approached by the men, one of whom produced a knife and punched him in the head and face – police report. He was robbed of his wallet and had his backpack taken from him. The suspects are described by Sussex Police as to have been wearing hoods and full face masks with a skeleton design over the mouth. They are thought to be in their early 20s. Anyone who witnessed the incident or who has any information about those involved is asked to report online or call 101 quoting serial 1358 of 21/09.